Want to connect with Jonathan? 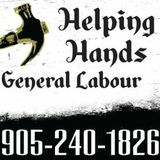 HELPING HANDS is a company that serves Durham Region and is based in Oshawa, Ontario. We are in business to provide local skilled and general labour, loading and unloading transport trucks, landscaping, carpentry, drywall and framing, residential demo, painting and steam cleaning services. We are an insured company that provides daily services all around Durham Region. Our customers and potential customers alike can be rest assured that they will get quality services at competitive rates. We will go the extra mile to ensure the safety of goods under our care and our customers get value for their money. At HELPING HANDS our goal is to provide excellent service to our customers and we pride ourselves on the integrity and competence of our company and our employees. Our client’s best interest will always come first, and everything we do will be guided by our values and professional ethics. We will ensure that we hold ourselves accountable to the highest standards by meeting our client’s needs precisely and completely. Your number one professional painter! Need a Painter? 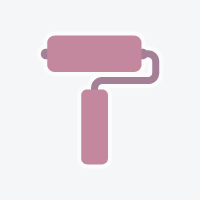 Call Covering Durham Paint & Decorating - over 30 years experience.